JD Motorsports with Gary Keller announced today that Garrett Smithley will return to the organization to pilot the No. 0 Chevrolet Camaro full time in the NASCAR Xfinity Series (NXS) this season. 2018 will mark the 25-year-old Ligonier, Pa., native’s third season with team. 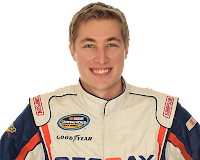 Smithley, who has coined the phrase “Number Nuthin” when referring to his car number, will join longtime teammate Ross Chastain, and new comers Vinnie Miller and Matt Mills, completing the team’s driver roster. Smithley, along with the rest of the NXS field, will kick off the season on Saturday, February 17thwith the Powershares QQQ 300 at Daytona International Speedway. 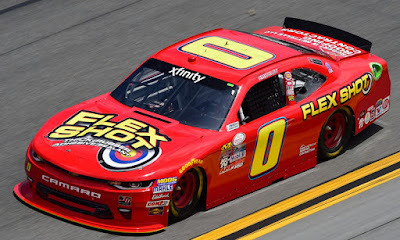 In last year’s event, he finished 8th after getting caught up in an early wreck and his team repairing the damage using his sponsor’s product, Flex Tape. Also returning will be Federation for Advanced Manufacturing Education, better known as FAME. FAME is a partnership of regional manufacturers whose purpose is to implement dual track, apprenticeship-style training that will create a pipeline of highly skilled workers. The primary method to achieve this goal is through partnerships with local educational institutions to offer the Advanced Manufacturing Technician Program (AMT).